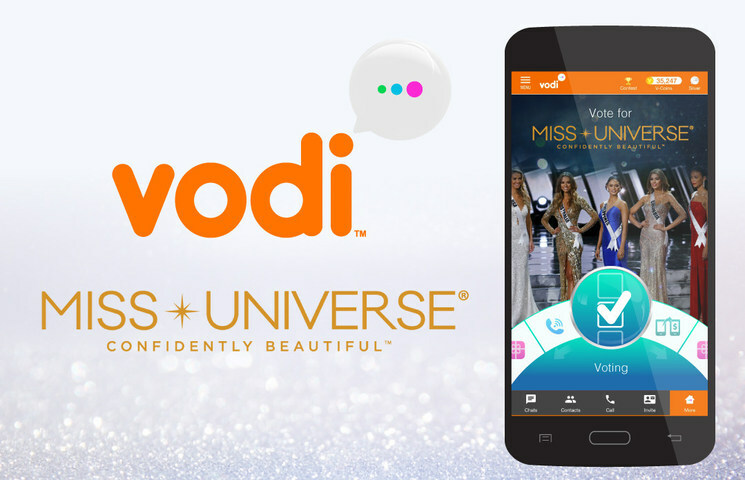 Vodi, a free mobile messaging app, will be the Official Global Fan Vote Sponsor for MISS UNIVERSE®, which will air January 29 at 7 p.m. ET live on FOX from Manila, Philippines. With users in more than 160 countries, powerful translation features, international calling and more, Vodi is an ideal fit for an event with the boundary-crossing reach and appeal of Miss Universe. "We're both excited and honored to work with The Miss Universe Organization to make this year's event the best yet," says Darren Lu, Vodi founder and CEO. "This is a fantastic opportunity to not only expand Vodi's worldwide presence, but to also promote Miss Universe's goal to empower women, give back and spread good will across the globe." Voting for the Miss Universe contestants with Vodi will be as simple as selecting the Voting option from the app's colorful "carousel" interface and choosing the voter's contestants of choice. More details on how fans can vote will be announced later this month. Vodi will continue to serve as a global voting platform for future events of all kinds. Additionally, Vodi will play a key role in the two weeks of events in the Philippines leading up to the main competition, which will be broadcast internationally from the Mall of Asia Arena. Followers of Vodi's social media accounts and fans attending in-person can look forward to lots of behind-the-scenes content and fun promotions. Furthermore, Vodi is launching its new Stars for Charity platform alongside the event, with many of this year's Miss Universe contestants among the first participating celebrities. This exciting development allows influencers and personalities to use their outlets and referral code to contribute to a charity of their choice based upon the in-app purchases of the users in their Vodi network.